The USVHS has used Next Exit History to help interpret these ancillary buildings. In the Fall of 2016, the museum became a Next Exit History Partner with a 5 site subscription. The volunteer staff began populating each site with additional text and historic photos. They then used more than 4 hours of oral history that they had collected from local valley residents to add short audio clips to the digital interpretation. They also added video clips for some of the sites from existing media on DVD and interviews that they had with knowledgeable individuals. All of the sites were branded with the Society’s logo and made into a short tour using Next Exit History. Significantly, the USVHS has used digital media as way to provide “program accessibility” for the interior of these small, ancillary buildings. This satisfies local and state requirements under the Americans with Disabilities Act (ADA) and has avoided the necessity of building expensive ramps to each building. Moreover, because local people are involved in telling their stories about these buildings, the interpretation is far more interesting than a static display. 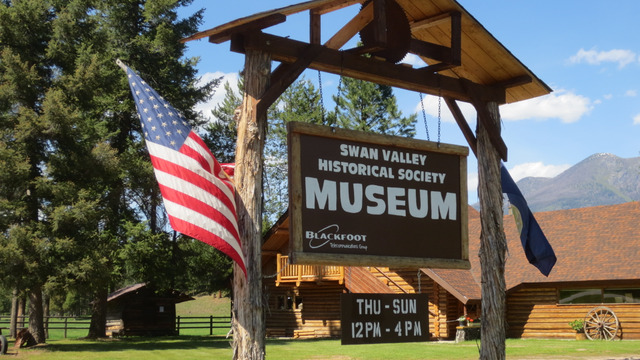 Having demonstrated success with the 5 site tour, the Society applied for and received a grant from their county museum board to upgrade their subscription to a 25 site package and to add related sites that are not located on the museum grounds. The goal is to expand the reach of the museum beyond immediate grounds. Significantly, as part of this grant, the USVHS will seek to develop “branding packages” for local merchants within the Next Exit History app. By doing so, the society hopes to garner additional support for the institution to underwrite their yearly subscription.